Chrome plated tubular steel frame. Loose cushoins filled with polyurethane foam and down feathers. Covered with leather. Format MB for maya 2009 or successive, shading included and ready for your interior render scene. 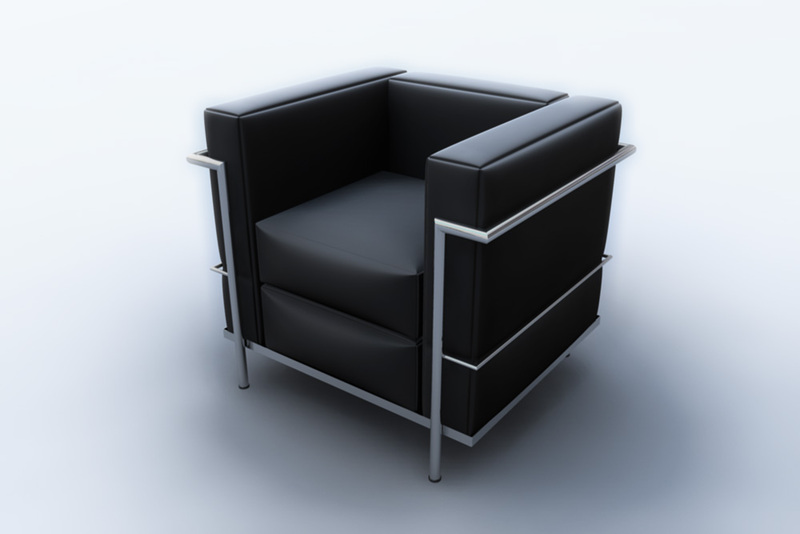 The Le Corbusier Chair looks harmonic from every angle. It was referred as "Fauteuil Grand Confort, petit moda¨le" when it was first presented in 1929. The narrow, softly rounded radius of the frame bends has often been criticized as it is quite complex model. For maya 2009 or successive, the shading materials are included.